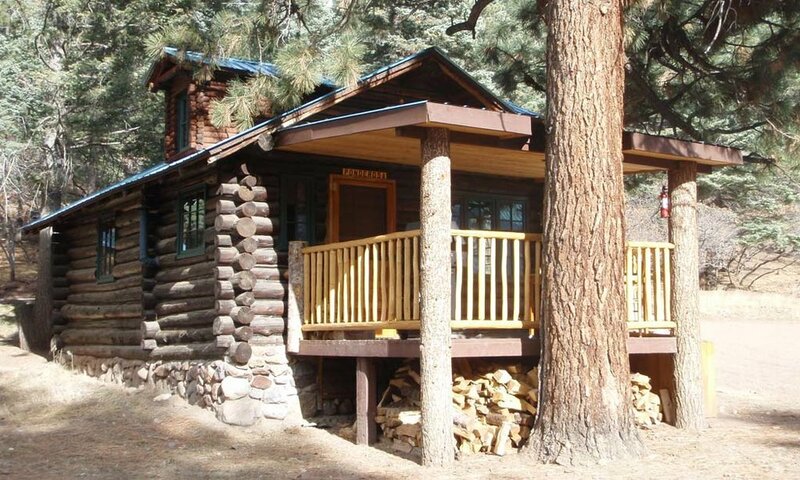 Ponderosa is the perfect getaway cabin for two. offer a stunning view of the Brazos Cliffs. you enter the kitchen/living/dining area. Behind this is the bedroom, then the bathroom (with full-size bathtub). ...and a carefully-crafted stone fireplace. 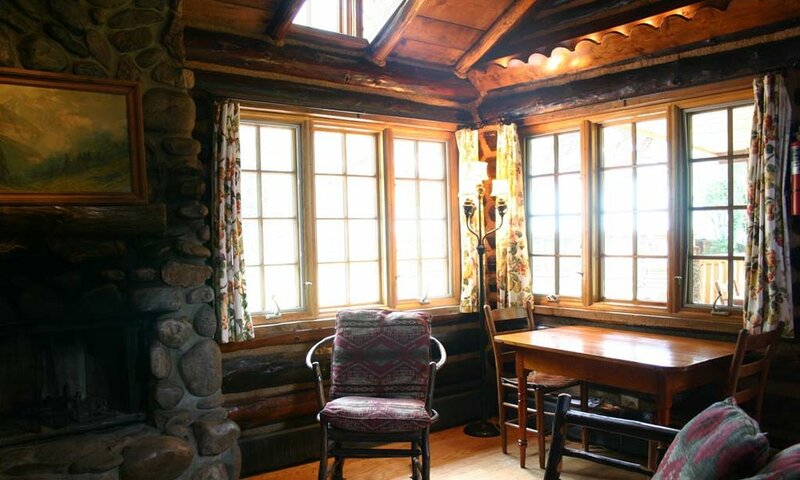 Ponderosa is one of the most popular cabins. past Old Lodge, and to the Brazos Cliffs. looking back through the bedroom and into the front room. can be seen in the mirror, and the inset shows the view out the windows to the Cliffs.